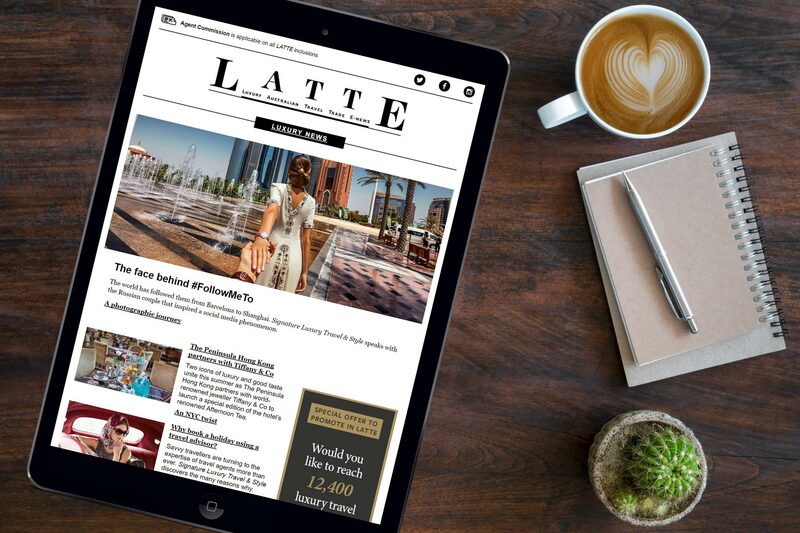 In this week’s interview, LATTE chats exclusively with Michelle Black, Managing Director for Australia and New Zealand at Viking Cruises. Michelle has been at Viking Cruises for close to two years as the cruise company’s local head, overseeing a period of rapid growth including the expansion of its young ocean cruising division, and the recent relocation of Viking’s Australasian headquarters in North Sydney to larger premises in Surry Hills, Sydney. Prior to joining Viking, Michelle was the General Manager of Sales and Marketing at Scenic Luxury Cruises & Tours, a position she held for five and a half years, and which saw her immersed in the river cruise and touring market. Her professional career prior to entering the travel industry included more than seven years with French multinational company, Veolia, working in its transport division where she was General Manager Marketing and Communications for the Melbourne rail network. Michelle, Viking is about to commence its maiden homeporting season in Australia. You must be excited for the season ahead. Can you briefly tell us about the cruises that form part of this schedule and which ships we’ll be seeing in local waters this season? We are very lucky to be able to showcase our newest ship Viking Orion which will be arriving in Darwin next Tuesday on her way from Bali to Sydney on our 15-day Komodo & the Australian Coast itinerary. She will then spend three months travelling from Sydney to Auckland on our 15-day Australia & New Zealand itinerary. We will also be welcoming back Viking Sun, who will return to local waters in March on her second world cruise which will head to the ports of Geelong, Adelaide, Albany and Perth for the first time. Viking Sun made its first-ever appearance in Australia earlier this year in February. What was the trade’s reaction to the product? The two words most often used by agents to describe their reactions to Viking Sun after this year’s inspections were “blown away”. We are lucky to have a unique product in the market, which I think surprised people when they got on board. For this coming season, is there any availability or are the ships filled to capacity? Our maiden homeporting has just a handful of cabins left. We are now on sale for 2019/2020 and 2020/2021. Are the majority of passengers booked on Viking’s local cruises from Australia and NZ? What other overseas markets will be sailing on these voyages, and have you been surprised by some of the foreign markets? A majority of guests on our local cruises are from the US and the UK, where Australia and New Zealand are both such bucket-list destinations. However, we do have a number of local guests wanting to explore their own backyard with Viking, with the beauty of just a short flight. What does having Viking’s ocean ships here mean to the local office? It is such a fantastic marketing opportunity for us and we hope to take over 3,000 agents on board over the coming months. We are really proud of our ships and there really is no better way to share them with our trade partners than through firsthand experience. Will there be opportunities for travel agents to step aboard the ships to see it firsthand this time around? And will that opportunity be available in ports outside of Sydney? We have new ports this time around: Townsville, Newcastle and Hobart. Viking Sun visiting in March will give us the new ports of Geelong, Adelaide, Albany and Fremantle. What has the Australian consumer reaction been to the product? Overwhelmingly positive! We receive a lot of comments around the beautiful Scandinavian design and serenity of our ships, which makes for a very relaxing cruise experience. We consistently receive wonderful reviews of our crew, which is well deserved. And guests are loving the all-inclusiveness; it’s really is hard to spend money on our ships. What can we expect to see from Viking’s deployment at the end of 2019/early 2020? Will the program differ greatly? Due to the popularity of this region Viking Orion will begin her season down here a month earlier in 2020/2021. Which Viking ocean cruises have been the most popular for Aussies? And Viking recently added some new combination ocean and river cruises sailings. Have Aussies jumped at that program? Scandinavia continues to be very popular for us, with guests wanting to explore this part of the world with a company whose heritage lies in this region. Our North Pacific Passage itinerary from Tokyo to Vancouver has also been one of our bestsellers, I would say largely due to the hot destinations it visits: Japan, Russia and Canada. The combination cruises sold out quickly this year, so we are pleased to release new dates for our 15-day Rhine & Viking Shores & Fjords river/ocean itinerary in 2020. Viking Ocean Cruises is relatively young. Is the brand already seeing repeat clients? Are past passengers of Viking River Cruises in Europe jumping at the opportunity to step aboard the ocean ships? Yes, we are seeing a large number of repeat guests including past river cruisers, which makes sense seeing as our ocean cruise experience was modelled off that of our award-winning Longships. And finally, LATTE’s signature question, where is your local coffee shop and what’s your go-to beverage? Make mine a skim latte from Paramount Coffee Project, please.